ESO Supernova Exhibition — Can asteroids wipe out life? 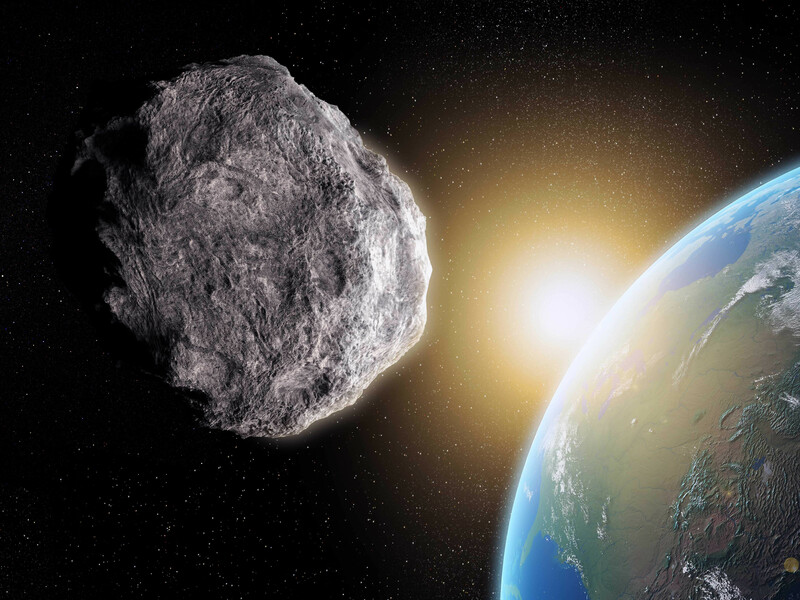 Can asteroids wipe out life? Earth has been hit by comets and asteroids in the past, and it will be hit again in the future. But many dangerous space rocks have now been identified and there are ideas for ways to deflect them if needed. Near miss: Quite often, small asteroids traverse the space between the Earth and the Moon. In many cases, they pass by unnoticed. Most larger potentially hazardous Earth- grazing asteroids have been catalogued by now (artist's impression). Impact scar: One of the best-preserved impact scars on Earth, this 1200-metre-wide meteor crater in Arizona was produced approximately 50 000 years ago by an iron meteorite some 50 metres across. Russian roulette: In February 2013, a meteor exploded above the Russian town of Chelyabinsk, leaving an impressive contrail in the sky. Its diameter was estimated to be about 20 metres. Luckily, larger impacts are much less frequent. Our home planet orbits the Sun in a cosmic shooting gallery. While small meteorites are usually harmless, space rocks larger than some 30 metres can wipe out a large city. Asteroids that are one kilometre across can destroy continents and have global climatic effects. A 10-kilometre impactor could kill most species on Earth - as happened to the dinosaurs that became extinct 65 million years ago. Although there are many ideas for protection, mankind is still powerless against large cosmic impacts. But the risk of more frequent smaller asteroid collisions could possibly be mitigated by future technology. Shooting gallery: Many hundreds of potentially hazardous asteroids larger than 140 metres across have orbits that occasionally bring them closer to Earth than 7.5 million kilometres. Risk mitigation: Using a reflective light sail to concentrate sunlight on an asteroid might be a way to gently deflect it from a dangerous, Earth- approaching orbit(artist's impression). 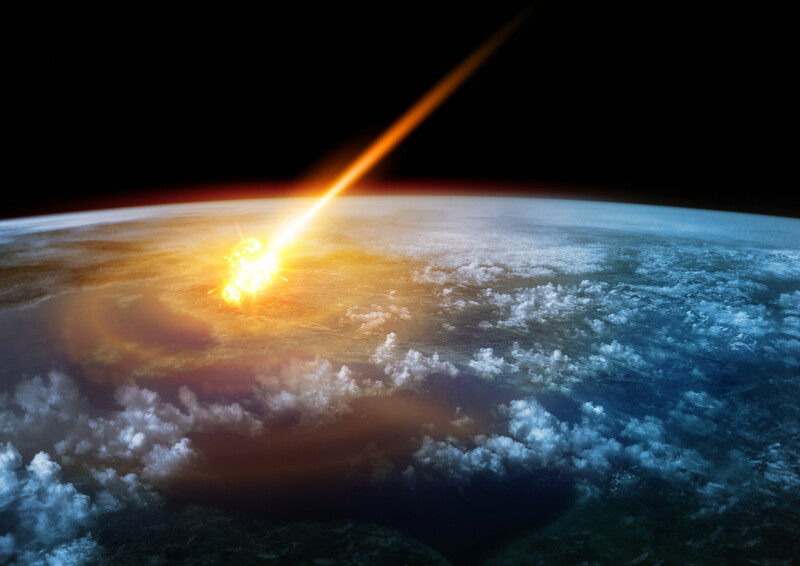 65 million years ago, the dinosaurs died out because of an asteroid impact on Earth. Luckily for us, such large impacts are rare. But we should also worry about smaller cosmic rocks. Maybe we can figure out how to deflect them, so they won't hit the Earth.